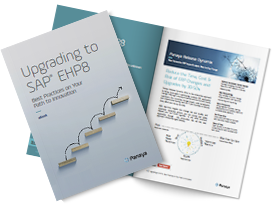 Upgrading to SAP EHP8 paves the way for innovation, but also introduces complexities. Learn the 5 best practices to simplify your upgrade. At the same time, ensure the functionality, security and performance of your SAP system.